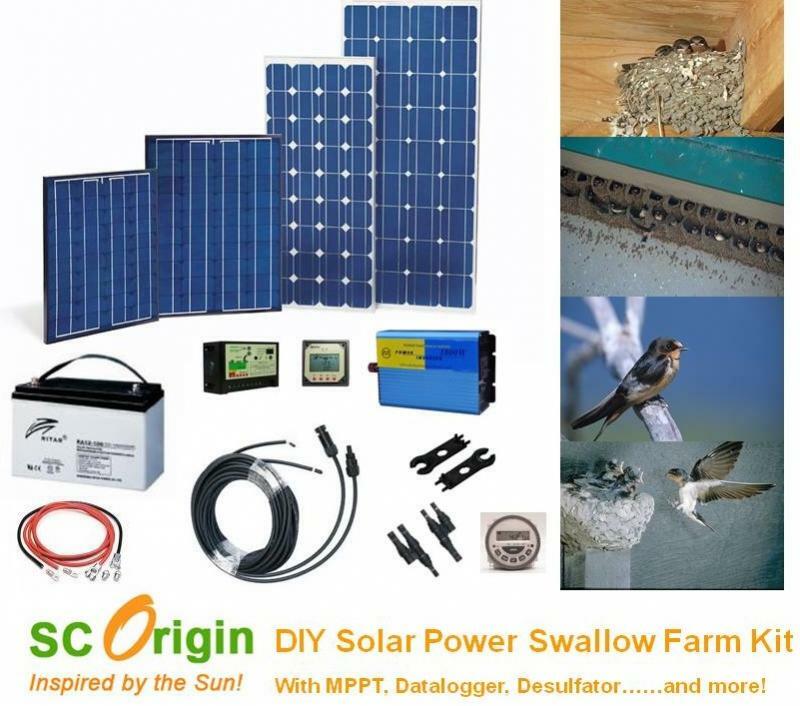 After work with 500 swallow farms accross south asia, we had sucessfully designed (based on indutrsial best practise) a Do It Yourself (DIY) solar power kit for swiftlet farm onwers. Now they can save a great deal compare using gensets. 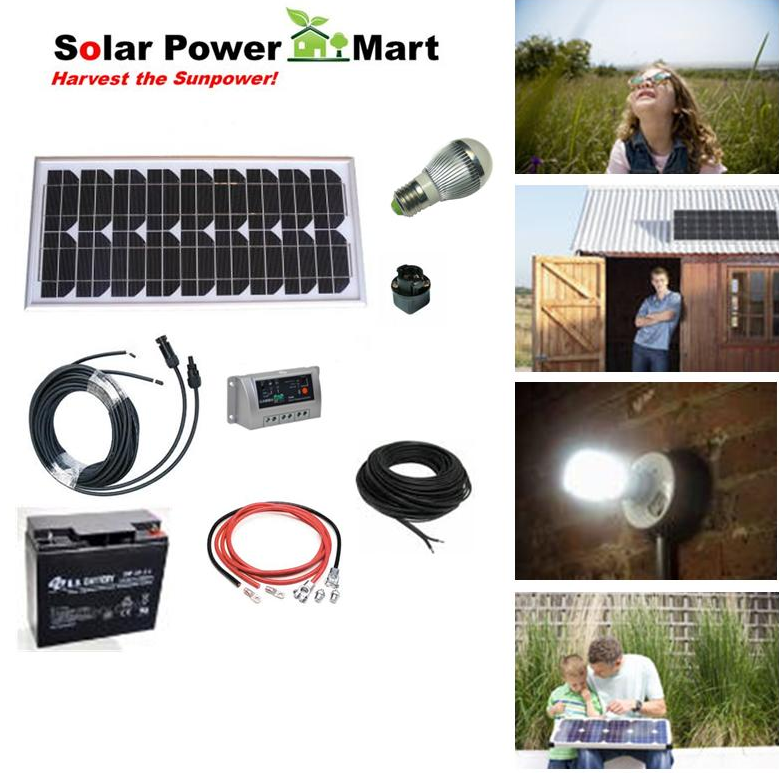 Includes all the parts to build your own system to solar powered audio system for swallow (Walet) homing and echoing. We also reserve some power for energizer (shock owl), DC lights and humidefiers. 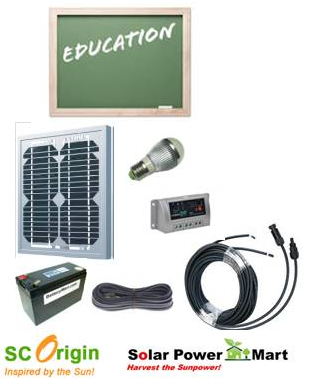 How to Calculate and Size Solar Power? The design process is a fairly simple and straight forward that doesn’t require a lot of technical knowledge. Determine the load in energy for a 24-hour period. Not the watts, but the watt-hours. Determine the size of the solar array to be used. The following example is a rough estimate to take to a system designer to discuss cost and objectives. He/she will then fine tune the system based on actual components, cable distance, etc… Our basic objective in this simple example is to provide power to a 250 load (light bulb) for 24 hours per day in two different cities (Klang Valley and Tasmania) with 90 % availability. Thiis is a system we have designed many times using remote cell radio sites. The transmitter is continuous 250 load, and the system will be a typical sized system that can be used in a home application. The only difference is radio sites are designed for 99.99% availability and this one will only be 90%. Getting from 90 to 99.99% greatly increases the cost with a larger solar array, larger batteries, and a standby generator set. In this example the worst case is simple to determine because the load is continuous 24 x 7 x 365 of a 250 watt light bulb. So the worst case is the month of December and January when the Solar Insolation is at its lowest point. In some instance, the worst case for the load is the summer and worst case for the resource is the winter, requiring you to perform two designs and then to select the one system that will carry the load through both summer and winter. So in this example we need to determine the energy needed in a 24 hour period. This is done with watt-hours. To determine the watt-hours is straight forward of Watts x Time (in hours). So 250 watts x 24 hours = 6000 watt-hours or 6 Kwh in a day or 24 hours. Make note of this number as it will be needed latter. You multiply the total 24 hour load energy by 1.5 to account for several factors that would be handled individually in a detailed design. 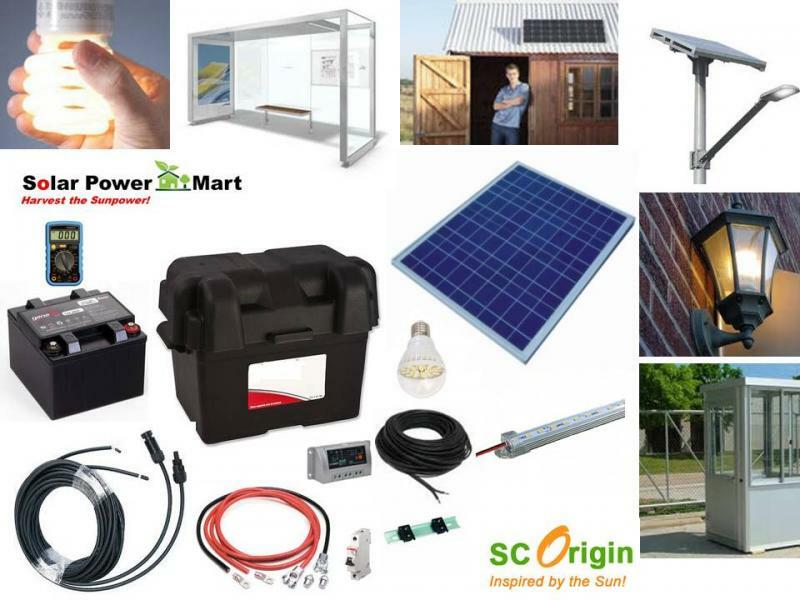 Some of the factors accounted for by this method are all the system efficiencies, including wiring and interconnection losses as well as the efficiency of the battery charging and discharging cycle, and allowing extra capacity for the PV system to recharge the batteries after they have been drained to keep the load going in bad weather. So 6000 x 1.5 = 9000 watts or 9 Kwh. Now take note of this figure. Most solar map data are given in terms of energy per surface area per day. No matter the original unit used, it can be converted into kWh/m2/day. Because of a few convenient factors, this can be read directly as "Sun Hour Day” The number you want to use in this example is for December since December days are the shortest. Klang Valley is shown to receive 4.6 kWh/m2/day in December.. For Tasmania, the number is 1.2 Kwh/m2/day. So we need to note 4.6 and 1.2 for our Sun Hour Day as it will be used to determine the solar panel array wattage. The size of the solar panel array is determined by the adjusted daily energy requirement using the Fudge factor number divided by the sun-hours per day. So for Klang Valley 9000 / 4.6 = 1956 watts, round up to 2000 watts. For Tasmania 9000 / 1.2 = 7500 watts. Note the huge difference; it is because of the Solar Insolation. Location matters and will greatly affect system cost. All batteries will last substantially longer if they are shallow cycled. That means discharged only by about 20% of their capacity in a given day. Where as deep discharge or cycling means that a battery is discharged by as much as 80% of its capacity. A conservative design of 90% availability will save the deep cycling for occasional duty like several cloudy days in a row. This implies that the capacity of the battery should be about five times the daily load. So that means the capacity should be 5 times the daily load. To figure the daily load, go back to the original load number before the fudge factor—that is, 6000 watt hours. Add to this a battery fudge factor of about 50% to account for the efficiency of the battery discharge, the fact that only 80% of the battery's capacity is available, and the loss in efficiency because PV systems rarely operate at the battery design temperature. The end result is that the battery design load is 6000 times 1.5 or 9000 watt hours, which is coincidentally the same as the array's design load, but for different reasons. This is the daily energy taken from the battery, which is now multiplied by five to ensure 20% daily discharge: 9000 x 5 = 45,000 watt hours. This is the battery capacity, which is usually given in ampere-hours so it must be divided by the system voltage; 45,000 / 12 = 3750 Amp Hours. Take note this example is a 12 volt system. If you were using a 24 volt system the battery capacity would be 45,000 / 24 = 1875 Amp Hours. To put this into perspective a 3750 AH battery bank would weight a few tone and the size of a china cabinet or a very large office desk. The floor of this would need to be reinforced concrete built to 3000 psi test. That’s about it to get you in the ball park. 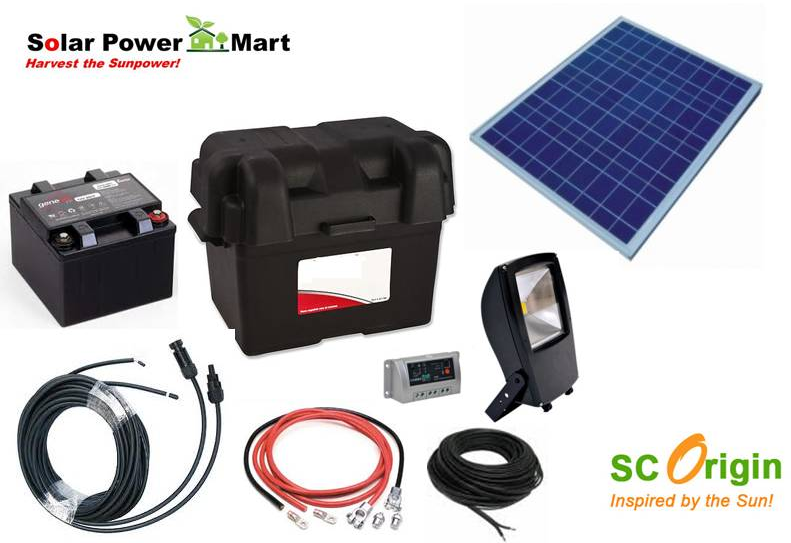 The system designer will then determine the inverter and charge controller requirements and fine tune the system numbers. In this example a 500 watt inverter (2 x Max Load = 2 x 250 = 500) and an MPPT controller of 175 amps for the Klang Valley system, and 650 amps for Tasmania.